So Lonely in Gorgeous: Searching For Beauty Products is Half the fun Week Four: So Lonely In Gorgeous Scavenger Hunt Giveaway! Searching For Beauty Products is Half the fun Week Four: So Lonely In Gorgeous Scavenger Hunt Giveaway! 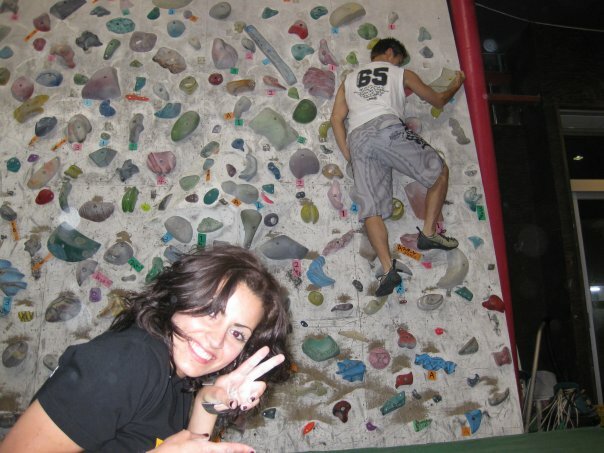 Aki and I at the rock climbing center in Kinshicho, 2009. Fourth week down, only seventeen more to go! Hello Lonely (or rather Gorgeous! ), I don't know if I'll be doing the sweepstake but just wanted to say hi. A new follower here, and also on twitter, found you from Kate the Driveller's blog. Crossing all my fingers and toes that I win something, lol. Thanks for doing such an amazing giveaway! Well you're definitely increasing your chances ;) Don't forget, you get 2 entries for each week you tweet or blog about the giveaway. Finally, I created a board on Pinterest for this huge giveaway ! Sugoi Sarah! Do you live in Japan? Unfortunately, no. I live in France (and I move to Russia this week !). Funny, I was watching a special on St. Petersburg when I read your comment :P Besides Japan, I have a fascination with Eastern Europe, mainly Russia. Planning a trip to visit a few of those countries next year. St-Petersburg is very beautiful. I plan to go there again, next year ! Actually, I'm living in Siberia (Asia part of Russia). I can't wait to live the Russian winter ! Maybe I will go to Moscow and Saint-Petersburg next year for holidays <3. I can't wait ! I will feel like a Russian princess ! I love Winter, the colder the better!